Nice video, thanks. Keep them coming. This is such a great insight Sarah! I have never heard of safe swaps before, and I just wanted to say that I love your everyday tips. Can’t wait to get the next one tomorrow. You’re not holding anything back, aren’t you? Thanks for your honesty! 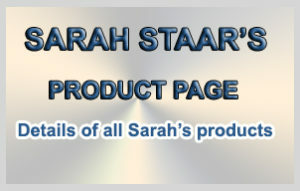 Thanks again Sarah for more great information. I’ve been wondering about the whole Safe-swap thing and it’s nice to understand how it works a bit more. Keep those great videos coming!! Wow, Sarah. I hope my honesty doesn’t offend you. So here it goes. Of every email or offer you send my way, what I look forward to the most and truly value is what you put together yourself; everything else false in the 50% bracket. Thank you again and again and again. I’ve actually made this weeks video series one of the first things I do before I start hammering away at my new internet venture. Please don’t stop. I’ll soon be joining you regular paid subscription. Thanks for the great video. I never thought about the Safe-Swaps site as a source for doing solo ads. Do you use them for Ad Swapping much also, or just mainly for finding solo ads? 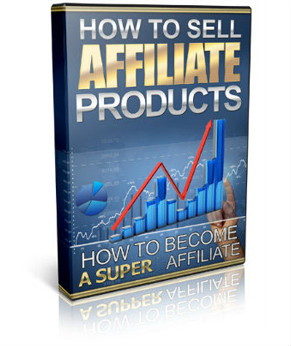 As per your article on how to build A $5,000.00 affiliate business by building your own database when selling someone’s product however aren’t we affiliates still building a database for the owner and he we will be competing against us for that customer business that is my database?. This really was an awesome post. Thanks. Thank you for the very informatimative video! I am looking forward to see more information like this! Very clear and straight to the point. Hi Sarah, I find your videos very refreshing and honest. I am going to book mark your site for future deals. Link baiting is a new and progressive method of increasing link popularity. You can easily create quality content on Link Bait .once it is online people will come to know about your views and would automatically link to it. It is more or less anything you create anywhere on the Web that inspires other people to link to it. I’m a total dunce about the mechanics of setting up these squeeze pages, email capture boxes, and the entire system for getting and building email lists. Where can I learn how to do this? I was meaning to say this a long time ago. I would like to personally thanks Sarah. I recall buying one of her products a while back which basically made me look at affiliate marketing at another angle. Because of that, I am now starting to make money online and hope improve. Thanks Sarah, I am your fan from down under Australia. PS. Can you come over to Australia to host a seminar, I would definitely buy the ticket! Hello Sarah, this is definitely great stuff. Thank you so much. Can you recommend an alternative source for buying solo ads, apart of safe-swaps and WF? I love this Sarah, thank you for showing this method as I know it really does work. I love your review videos they are always informative. I hope my blog can add as much value to people looking to replace their day job.